After a night of bitterness and confusion, Mark Hoppus and Travis Barker have slammed Tom DeLonge as 'disrespectful and ungrateful', and confirmed that he is no longer in the band. Yesterday, Blink 182 announced that they would be playing the Barker-curated Musink festival without DeLonge, with Alkaline Trio frontman Matt Skiba stepping in to fill his shoes. 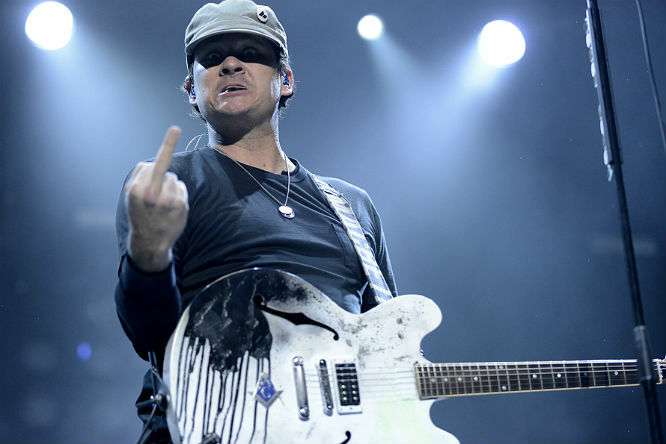 The band then issued a statement saying that DeLonge had quit the band 'indefinitely', before the guitarist denied this online and blamed miscommunication and their 'dysfunctional' nature. Now, in a lengthy and brutal interview with Rolling Stone, the remaining members have clarified the situation, and pulled no punches when it comes to DeLonge's 'attitude'. "Every single thing that we’ve heard from his camp - from e-mails from his manager to our production team - was, 'Tom is out indefinitely, for the foreseeable future, Tom is done'," said Hoppus. He continued: "It feels humiliating to be in a band where you have to be apologizing for one person all the time. That’s how it’s felt for a long time." "I just wish Tom does whatever makes him happy and stops holding Blink-182 back from what we all agree that we’re going to do: play shows, record music, continue this legacy and have a good time doing it." 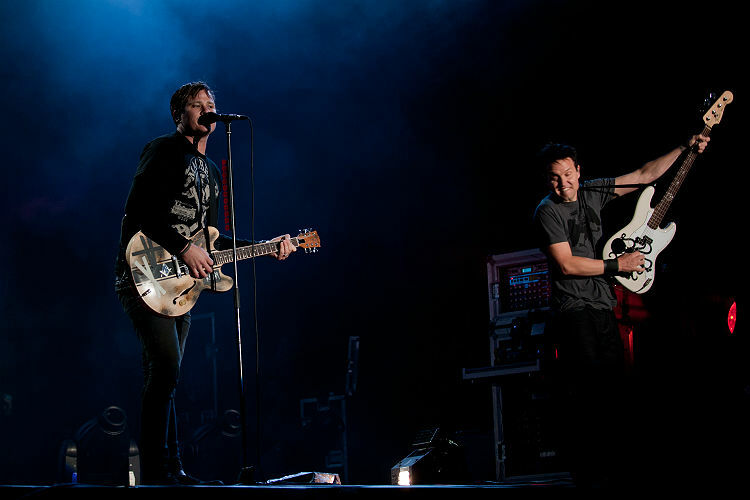 When asked about continuing as Blink without DeLonge, Hoppus added: "There are legalities involved with this. As Tom pointed out, he technically didn’t quit the band. Then it gets all lawyer-y, which I will leave to the attorneys and managers. I just want to go out and play Blink songs. I want to go out and play the songs that we’ve been spending the last 20 years of our lives writing. That’s what Travis and I want to do. If Tom doesn’t want to do that, which obviously he doesn’t, that’s OK.
"He doesn’t have to be embarrassed or try to claim that he’s secretly really working on Blink. People know what’s up. C’mon, man." Speaking of DeLonge's exit, Barker said: "I think he’s just bummed because Mark and I were finally honest. We always covered up for him before. It was always, “We’re going to record an album,” then “Tom refuses to get into the studio without a record deal.” So everyone does hella amounts of work to get a record deal and now Tom isn’t part of Blink-182. It’s hard to cover for someone who’s disrespectful and ungrateful. You don’t even have the balls to call your bandmates and tell them you’re not going to record or do anything Blink-related. You have your manager do it. "Everyone should know what the story is with him and it’s been years with it. When we did get back together after my plane crash, we only got back together, I don’t know, maybe because I almost died. But he didn’t even listen to mixes or masterings from that record. He didn’t even care about it. Why Blink even got back together in the first place is questionable." DeLonge was a founding member of Blink, and just last month spoke to Gigwise about the band's follow-up to 2011's Neighbourhoods, and their future outside of his side-project, Angels & Airwaves. "I'm not totally sure how it’s going to work but the goal is to find an area or an environment that’s different and not just a normal studio to be together as were architect the songs and inspire each other in ways that we did back in that timeframe," he told Gigwise. "I think if we can pull off those few things we’ll be in really really good shape. We’ve always done what we liked, and on the Untitled record there was a lot of debate where we thought our fans wouldn’t even like it, but I think we succeeded by sticking to what we wanted to do, and it turned out to be the one that the fans like the most." Last summer, Blink 182 headlined Reading & Leeds festival. 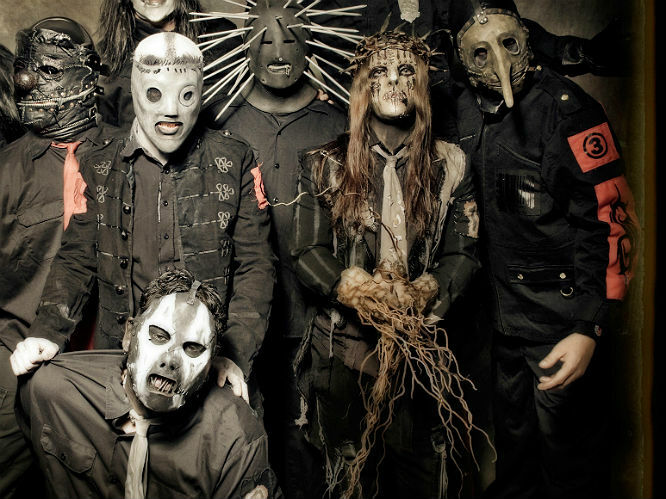 Slipknot - Joey Jordison: Maggots the world over were left devastated by the news that legendary drummer Jordison had parted ways with the band. He insists that he did not 'leave' the band but was pushed, however no further details are known yet. Jordison's next move isn't clear either, but last year he formed new band Scar The Martyr with Jed Simon and Kris Norris - and promised new material and tour dates. Watch this space. 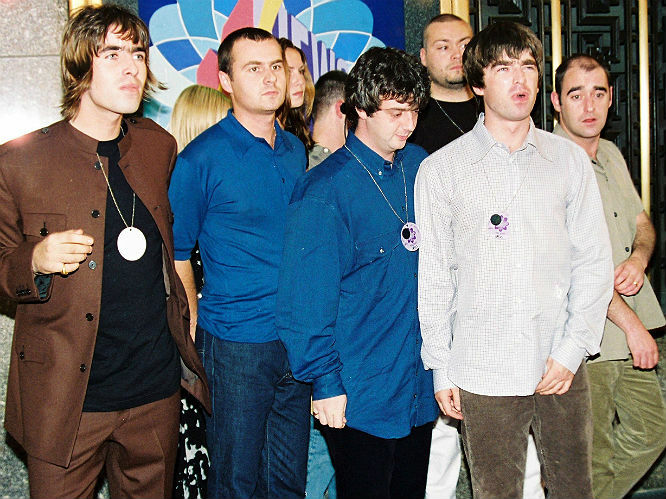 Oasis - Bonehead: Once part of a stadium-filling, world-conquering anthem factory, rhythm guitarist Paul 'Boneshead' Arthurs (the bald bloke on the right) left Oasis in 1999 to spend more time with his family. These days, he's a DJ and has a new band called Parlour Flames. 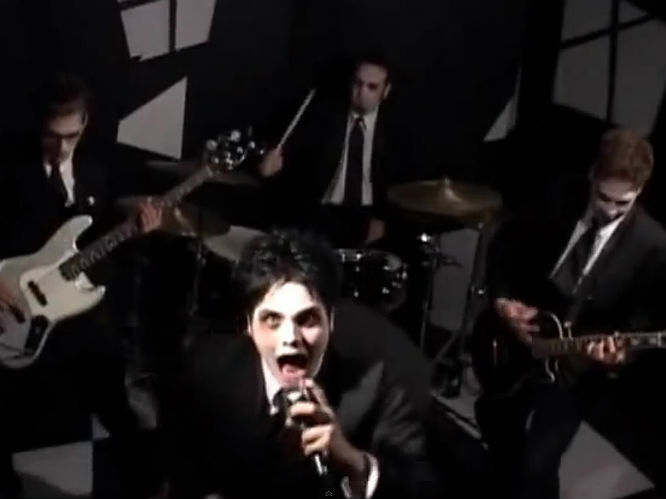 My Chemical Romance - Matt Pelissier: Former drummer and co-founder of emo giants MCR, Pelisser was asked to leave the band for reasons that are officially unknown after the launch of their breakthrough second album, Three Cheers For Sweet Revenge. These days, he has his own recording studio in New Jersey and has released music with new band Revenir. 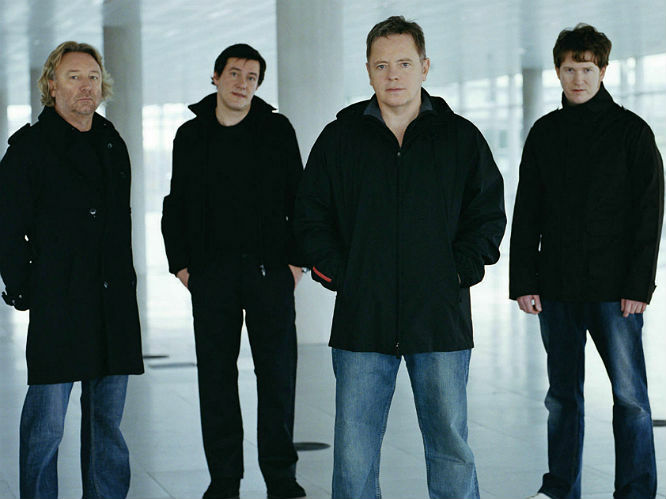 New Order - Peter Hook: Hooky was a founding member of Joy Division who went on to become New Order. Despite his iconic basslines being an integral part of the New Order sound, he left the band in 2007 and now spends his days touring the classic catalogues of both bands with The Light. 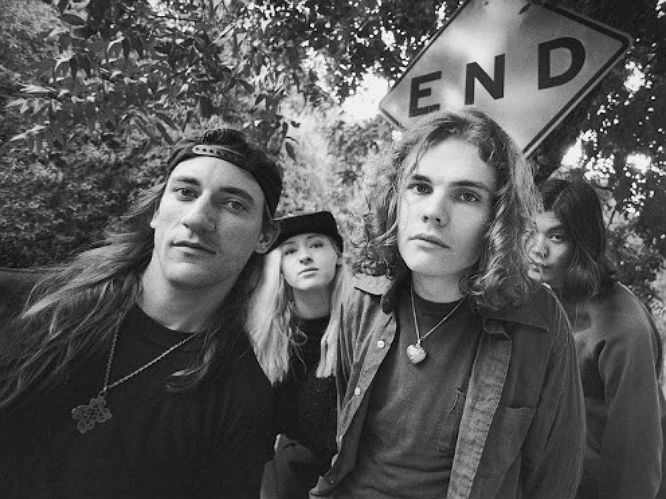 Smashing Pumpkins - James Iha/D'Arcy Wretsky and Jimmy Chamberlin: The original and classic line-up of art-grunge icons SP have all been removed and replaced by Billy Corgan over the years. Iha is now a producer, solo artist and member of A Perfect Circle, while Chamberlin formed and left a band called Skysaw and Wretsky has largely been in trouble with the law for drink-driving and 'failing to control her horses'. 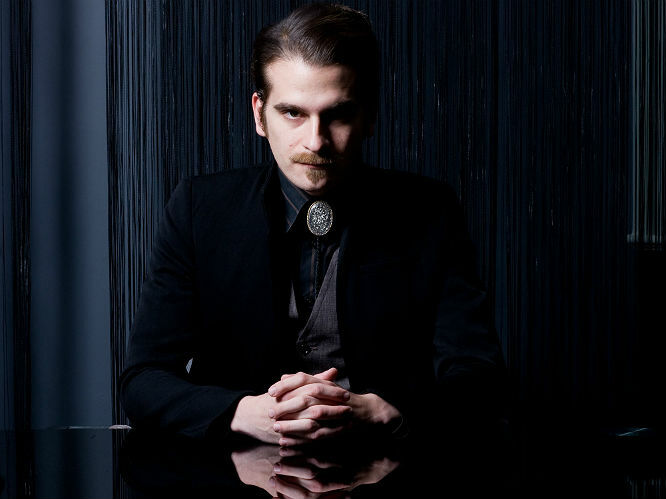 Interpol - Carlos D: The gothic Mr Dengler was a towering presence in the New York post-punk revivalists until his departure in 2010 when he 'fell out of love with the bass guitar'. He has since been seen working as an actor and video artist - and even made a surprise appearance on the 'Humans Of New York' photo and story series. 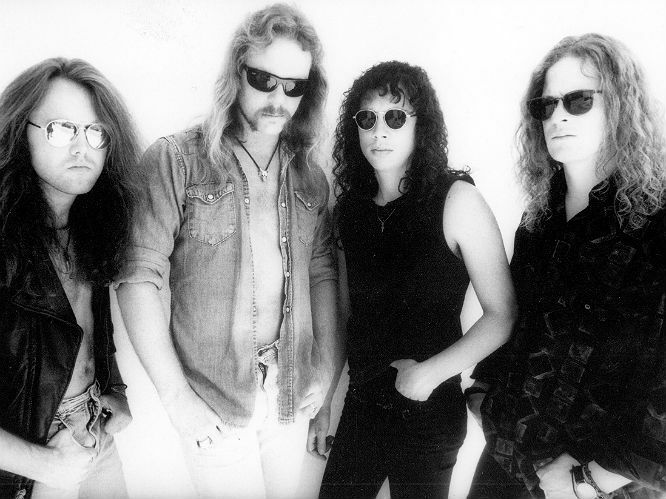 Metallica - Jason Newsted: Brought in to replace Cliff Burton following his tragic death in 1986, Newsted quit the band in 2001 for 'personal, professional and physical' reasons. After a decade of side-projects, nowadays you'll find him recording and touring with eponymous new band, Newsted (who have been known to play a 'Tallica song or two). 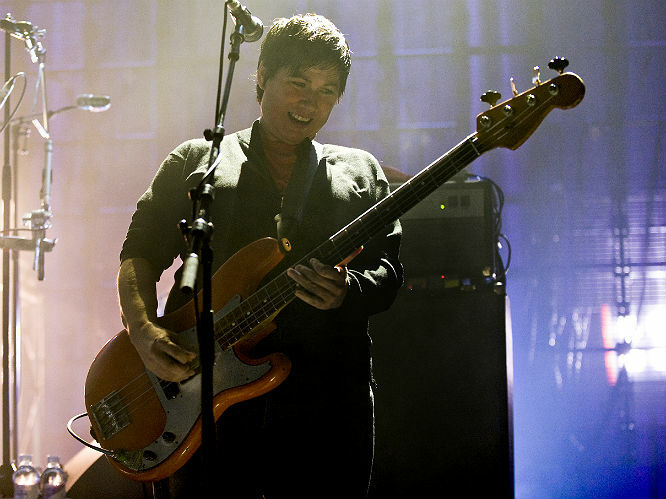 Pixies - Kim Deal: The Breeders frontwoman and all-round alt-rock icon left Pixies last year, with the band since revealing that she'll be 'impossible' to replace. Since her departure, she has unveiled some pretty decent solo music with much more expected to follow. 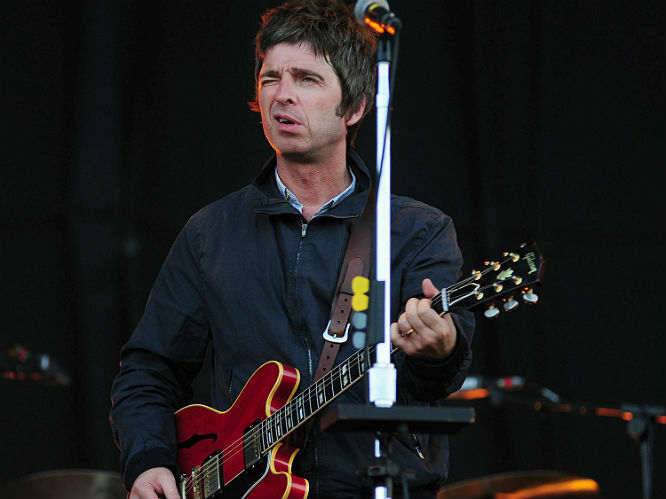 Oasis - Noel Gallagher: He quit Oasis on 28 August in 2009, breaking the hearts of thousands with a Britpop hangover. He went on to reinvent himself as a solo artists with his High Flying Birds, releasing a pretty impressive and acclaimed debut album. He's in the studio now and due to release another later this year. 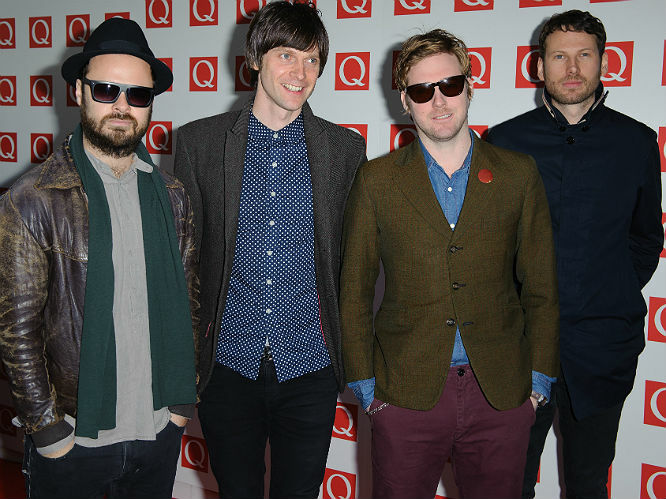 Kaiser Chiefs - Nick Hodgson: Founding member, drummer and chief songwriter Hodgson left the 'Oh My God' stars in 2012 (after a somewhat acrimonious split where he claimed to write 100 per cent of the band's songs and said the band was 'over'). Apparently they're all just-about friends now, but Hodgson spends his days producing and songwriting from his own studio, Chewdio. 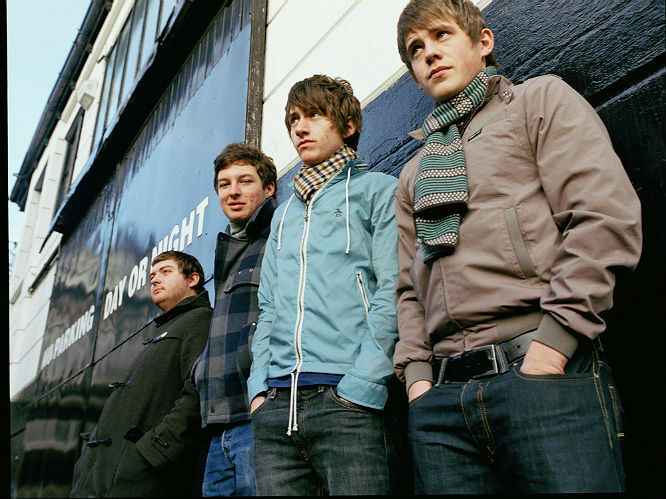 Arctic Monkeys - Andy Nicholson: Yup, remember when the portly chap on the left was part of Sheffield's biggest export? After a fresh-faced and pimpled Alex Turner and co sky-rocketed to success off the back of their seminal debut album, bassist Nicholson left the band in 2006. He has since spent his time DJing, playing bass for fellow Sheffield sons Reverend And The Makers and is currently producing and performing in hip-hop group Clubs & Spades with Maticmouth from Reverend Soundsystem. Blink-182 - Tom DeLonge: While insisting that he did not in fact quit Blink, former bandmates Mark Hoppus and Travis Barker have brutally spoken out about parting ways with the band due to his 'disrespectful and ungrateful' attitude and not being willing to participate in touring and recording. While he's recently released material with Angels & Airwaves, it's been said he'll focus on his 'non-musical endeavours' - including Atticus and Macbeth fashion brands, his Modlife business and film-writing.